블레스의 이런 고민에 응답한 이는 바로 영화음악의 세계적인 거장 '한스 짐머'였다. '라이온 킹'에서 토속 악기와 소리로 아프리카를 담아내고, '캐리비안의 해적'에서는 템포와 멜로디로 액션과 캐릭터를 담아냈으며, '다크 나이트'에서는 전자 바이올린 선율로 조커의 이미지를 만들어낸 현존하는 최고의 음악가. 최근 '인셉션', '인터스텔라'에 이르기까지 항상 철학적이면서도 새로운 선율을 선사하는 그의 음악을 듣고 있자면 셀 수 없이 많은 수상경력조차도 소박하게 느껴진다. 바로 그 '한스 짐머'가 새로운 세대를 위한 정통 MMORPG 블레스의 O.S.T를 통해 국내 최초로 한국 팬들을 찾는다. "지금까지 본 적 없는 환상적인 세계와 디자인, 스토리의 예술성과 창의성에 감탄하여 꼭 참여하고 싶었다" 고 밝힌 '한스 짐머'. 우리는 블레스의 음악을 통해 상상 속에 있던 세상이 현실로 펼쳐지는 경험과 함께, '한스 짐머'만이 가능한, 그 동안의 게임 음악을 뛰어넘는 새로운 화법과 새로운 세대의 시작을 확인할 수 있을 것이다. 블레스의 음악은 한국 네오위즈블레스스튜디오와 미국 로스앤젤레스에 있는 '한스 짐머'의 스튜디오 14th Steets, 영국 런던의 Air Studio(비틀즈의 세계적인 히트곡 'Yesterday'가 탄생한 녹음실), '브라티슬라바 합창단' 녹음이 진행된 동유럽 슬로바키아의 SRO Studio까지 전 세계를 오가며 제작되었다. 특히, 런던에서 녹음된 120여명의 오케스트라 연주와 36명의 브라티슬라바 합창단이 만들어낸 웅장한 사운드는, 때로는 서정적이고 때로는 폭풍 같은 선율로 우리의 귀를 사로잡는다. 이번 블레스 O.S.T 작업은 '한스 짐머'가 그가 가장 신뢰하는 스태프들이 대거 투입시켰다는 점에서 더욱 화제가 되고 있다. 오랜 파트너로 알려진 작곡가 '론 발프'(작곡가/다크 나이트, 캐리비안의 해적)와 '제프 포스터'(레코딩 엔지니어/캐리비안의 해적, 인셉션, 셜록)가 참여했고, 블레스의 거대한 세상을 표현하는 대규모 오케스트라 녹음을 위해 '피터 코빈'(레코딩 엔지니어 / 해리 포터, 반지의 제왕, 호빗), '페리 몬테규메이슨'(오케스트라 리더 / 007 시리즈, 반지의 제왕, 아이언 맨)과 같은' 반지의 제왕'의 스태프들이 블레스 O.S.T 프로젝트에 참여했다. '한스 짐머'와 수년간 호흡을 맞춰온 '런던 심포니'와 '한스 짐머'가 선택하여 특별 초빙한 최고의 스태프들, 그들이 모여 만들어낸 블레스 만의 음악적 완성도에 더욱 기대가 모아지는 이유이다. 특히, 헐리우드 블록버스터 영화음악 제작을 방불케 한 블레스의 O.ST 제작 규모는 프로젝트에 참여한 유명 스태프들마저도 감탄하게 만들어, 한국 게임음악의 위상을 높였다는 후문이다. '한스 짐머'가 작곡한 메인테마 "폭풍 속의 불씨들 (Embers in the Storm)"은 4/4 박자 곡으로, 왈츠적 느낌을 주는 삼연음(셋잇단음표) 중심의 리듬 위에 화려한 대편성과 퍼스트 바이올린 선율이 인상적인 곡이다. 초반부 '베토벤'의 "운명"을 연상시키는 소테마는 두 진영간의 숙명적이고 비극적인 운명을 암시하고 있으며, 이후 이어지는 고요함과 긴장감은 블레스에서 펼쳐질 모험의 대서사시를 암시하고 있다. 특히 '한스 짐머'가 특별히 공을 들인 퍼스트 바이올린의 솔로 연주는 대규모의 오케스트라 협연 위를 가로지르며 블레스 세상의 탐험과 그 안에서의 유저의 모험과 기록을 전하고 있다. 이어 폭풍처럼 몰아치는 스트링과 브라스의 향연은 두 진영간의 비극적인 운명을 묘사하며 블레스의 시간을 우리의 눈 앞으로 불러올 것이다. '한스 짐머'는 전 세계 박스 오피스에서 240억 달러 이상의 수익을 올린 120편 이상의 영화 음악 작업에 참여하였으며, 아카데미 어워즈(1회), 골든 글로브(2회), 그래미(3회), 아메리칸 뮤직 어워드(1회), 토니 어워즈(1회)와 같은 세계적인 음악상을 수 차례 수상했다. 가장 최근 작업한 '인터스텔라' 또한 아카데미 어워즈 음악상에 노미네이트되어 그의 10번째 오스카 노미네이션 기록을 세우기도 했다. 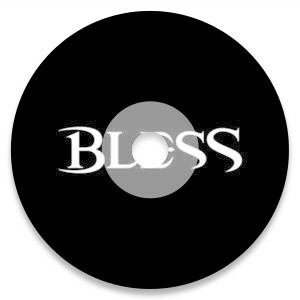 2003년 ASCAP(미국 음악가 협회)로부터 그간의 작품 활동이 전한 감동과 영향력의 공로를 인정받아 권위 높은 헨리 맨시니 평생 공로상(Henry Mancini award for Lifetime Achievement)을 수상하였으며, 2010년에는 할리우드 명예의 거리에 그의 별이 새겨졌고, 2014 년에는 취리히 영화제에서도 평생 공로상을 수상했다. 그는 최근 영국 해머스미스 아폴로에서 자신의 첫 번째 콘서트, 'Hans Zimmer Revealed'를 성공적으로 마치기도 했다. '한스 짐머'의 최근작으로는, 국내에서 높은 인기를 끈 '인터스텔라'와 '어메이징 스파이더맨 2', '노예 12년', '크리스토퍼 놀란' 감독과 함께 한 '다크 나이트' '다크 나이트 라이즈' '인셉션', '가이 리치' 감독의 '셜록 홈즈' 가 있다. 이 외에도 그의 이름을 알린 '레인 맨'을 포함하여 '드라이빙 미스 데이지' '델마와 루이스' '크림슨 타이드' '글래디에이터' '미션 임파서블 2' '한니발' '진주만' '캐리비안의 해적' 시리즈, '쿵푸 팬더' '마다가스카' '다빈치코드'와 아카데미 어워즈에서 음악상을 수상한 '라이온 킹'을 통해 그의 명성을 확인할 수 있다. 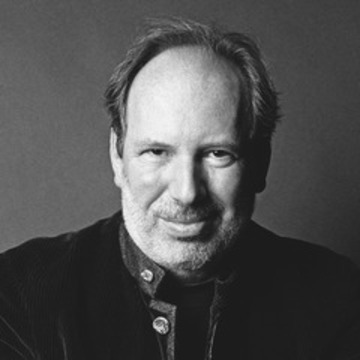 German-born composer Hans Zimmer is recognized as one of Hollywood’s most innovative musical talents‚ having first enjoyed success in the world of pop music as a member of The Buggles. The group’s single Video Killed the Radio Star became a worldwide hit and helped usher in a new era of global entertainment as the first music video to be aired on MTV. Zimmer entered the world of film music in London during a long collaboration with famed composer and mentor Stanley Myers‚ which included the film My Beautiful Laundrette. 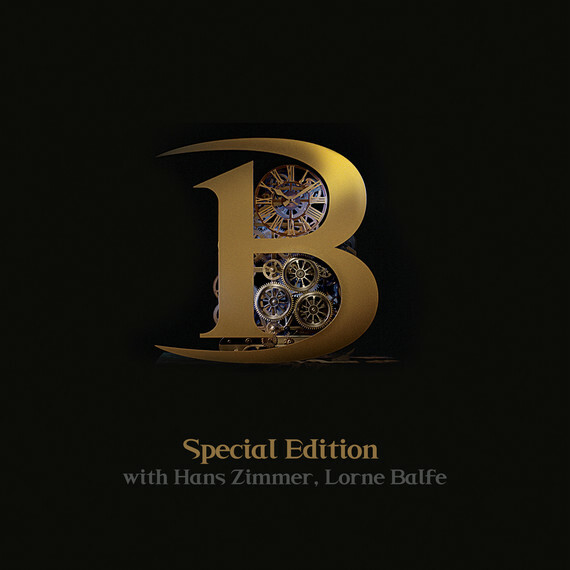 He soon began work on several successful solo projects‚ including the critically acclaimed A World Apart‚ and during these years Zimmer pioneered the use of combining old and new musical technologies. Today‚ this work has earned him the reputation of being the father of integrating the electronic musical world with traditional orchestral arrangements. A turning point in Zimmer’s career came in 1988 when he was asked to score Rain Man for director Barry Levinson. The film went on to win the Oscar for Best Picture of the Year and earned Zimmer his first Academy Award Nomination for Best Original Score. The next year‚ Zimmer composed the score for another Best Picture Oscar recipient‚ Driving Miss Daisy‚ starring Jessica Tandy and Morgan Freeman. Having already scored two Best Picture winners‚ in the early ’90s Zimmer cemented his position as a pre-eminent talent with the award-winning score for The Lion King. The soundtrack has sold over 15 million copies to date and earned him an Academy Award for Best Original Score‚ a Golden Globe‚ an American Music Award‚ a Tony and two Grammy Awards. In total‚ Zimmer’s work has been nominated for 7 Golden Globes‚ 7 Grammys and seven Oscars for “Rainman”‚ “Gladiator”‚ “The Lion King”‚ “As good As It Gets”‚ “The Preachers Wife”‚ “The Thin Red Line‚” “The Prince Of Egypt” and “The Last Samurai.” With his career in full swing‚ Zimmer was anxious to replicate the mentoring experience he had benefited from under Stanley Myers’ guidance. With state-of-the-art technology and a supportive creative environment‚ Zimmer was able to offer film-scoring opportunities to young composers at his Santa Monica-based musical ’think tank.’ This approach helped launch the careers of such notable composers as Mark Mancina‚ John Powell‚ Harry Gregson-Williams‚ Nick Glennie-Smith and Klaus Badelt. In 2000 Zimmer scored the music for Gladiator‚ for which he received an Oscar nomination‚ in addition to Golden Globe and Broadcast Film Critics Awards for his epic score. It sold more than three million copies worldwide and spawned a second album “Gladiator: More Music From The Motion Picture‚” released on the Universal Classics/Decca label. Zimmer’s other scores that year included Mission: Impossible 2‚ The Road To El Dorado and An Everlasting Piece‚ directed by Barry Levinson. Some of his other impressive scores include Pearl Harbor‚ The Ring‚4 films directed by Ridley Scott; Matchstick Men‚ Hannibal‚ Black Hawk Down and Thelma & Louise‚ Penny Marshall’s Riding In Cars With Boys and A League Of Their Own‚ Quentin Tarantino’s True Romance‚ Tears Of The Sun‚ Ron Howard’s Backdraft‚ Days Of Thunder‚ Smilla’s Sense Of Snow and the animated Spirit: Stallion Of The Cimarron for which he also co-wrote four of the songs with Bryan Adams‚ including the Golden Globe nominated “Here I Am.” At the 27th annual Flanders International Film Festival‚ Zimmer performed live for the first time in concert with a 100-piece orchestra and a 100-piece choir. Choosing selections from his impressive body of work‚ Zimmer performed newly orchestrated concert versions of Gladiator‚ Mission: Impossible 2‚ Rain Man‚ The Lion King‚ and The Thin Red Line. The concert was recorded by Decca and released as a concert album entitled "The Wings Of A Film: The Music Of Hans Zimmer." In 2003‚ Zimmer completed his 100th film score for the film The Last Samurai‚ starring Tom Cruise‚ for which he received both a Golden Globe and a Broadcast Film Critics nomination. Over the past year‚ Zimmer has scored Nancy Meyers’ comedy Something’s Gotta Give‚ the animated Dreamworks film‚ A Shark’s Tale (featuring voices of Will Smith‚ Renee Zellweger‚ Robert De Niro‚ Jack Black and Martin Scorsese)‚ and most recently‚ Jim Brooks’ Spanglish starring Adam Sandler and Tea Leoni (for which he also received a Golden Globe nomination). His upcoming projects include Paramount’s Weatherman starring Nicolas Cage‚ Dreamworks’ Madagascar and highly anticipated Warner Bros. summer release‚ Batman Begins. Zimmer’s additional honors and awards include the prestigious Lifetime Achievement Award in Film Composition from the National Board of Review‚ and the Frederick Loewe Award in 2003 at the Palm Springs International Film Festival. He has also received ASCAP’s Henry Mancini Award for Lifetime Achievement. Hans and his wife live in Los Angeles and he is the father of 4.